I started watching 10 Things in Tucson. For those who don’t know, 10 Things is a show staring comedian Jamie Lee, and it discusses 10 Things you might not know. 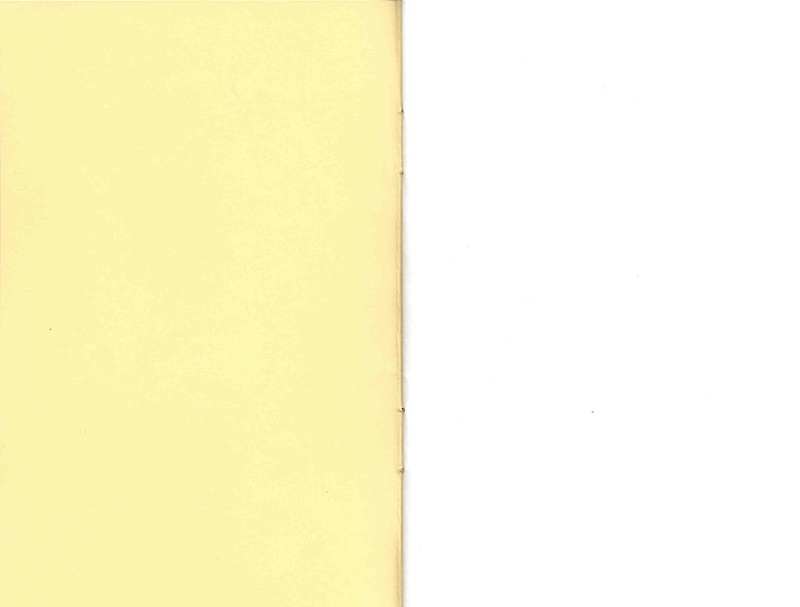 In one particular episode, I got really upset. 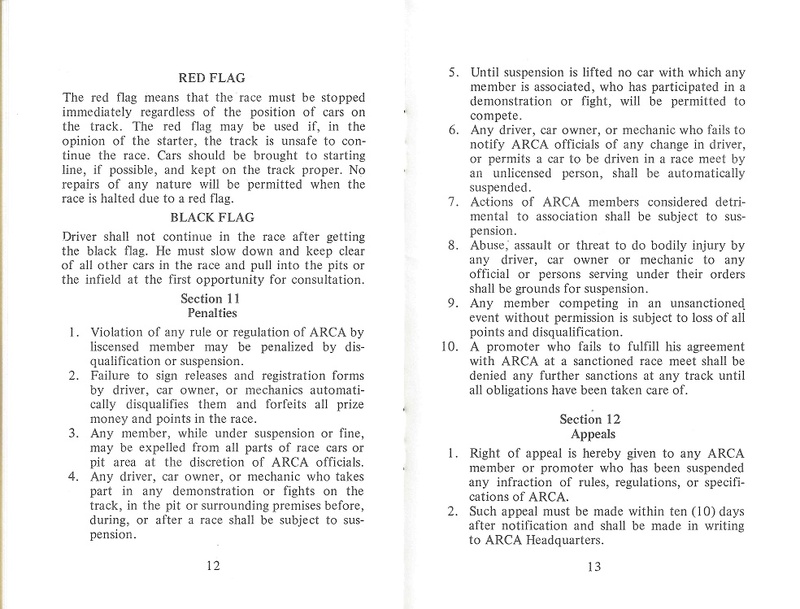 The discussion concerns the fact that NASCAR doesn’t require a driver’s license to race. 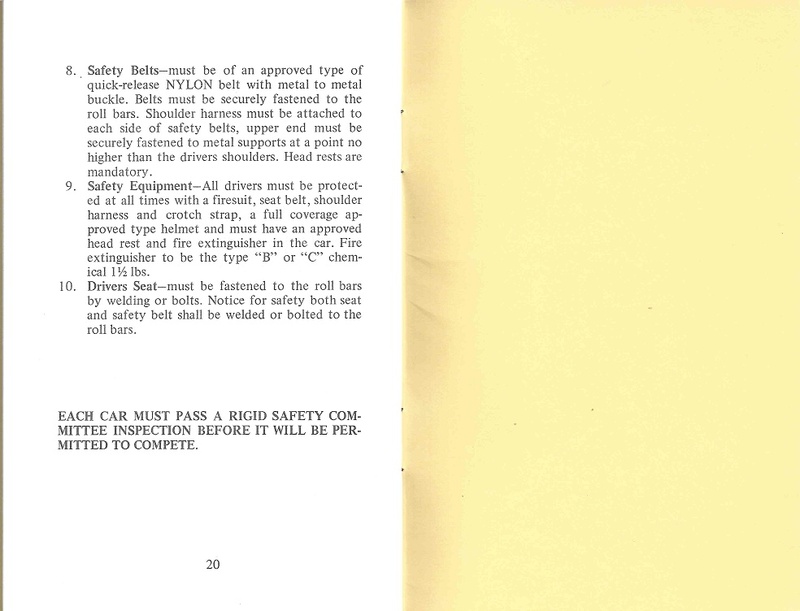 Jamie could not wrap her mind around the fact that NASCAR drivers don’t need a driver’s license to race. 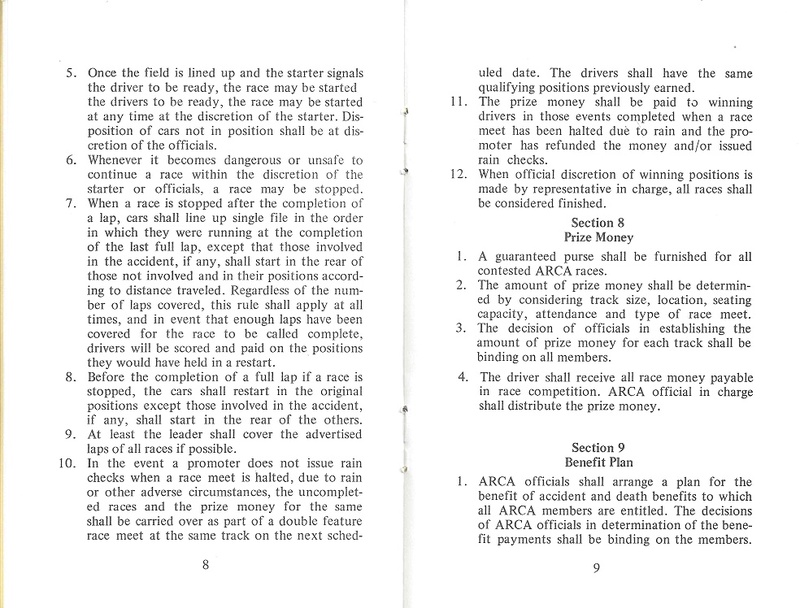 What she and the writers glazed over is the fact that that NASCAR and almost all racing sanctioning bodies issue “competitor licenses.” Competitor licenses are significantly harder to obtain than a standard driver’s license, and the sanctioning bodies make the rules for obtaining them difficult on purpose, so that the average joe can’t buy a race car on eBay, and drive it in a race. 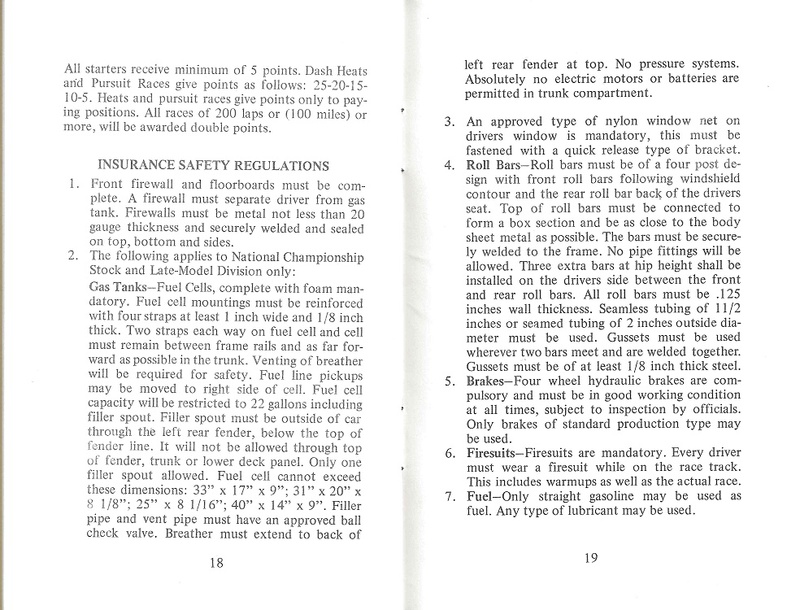 As you get higher and higher in the racing ranks, the requirements become stricter, and harder to obtain. This is not a new phenomenon. This goes back to the 1960’s. 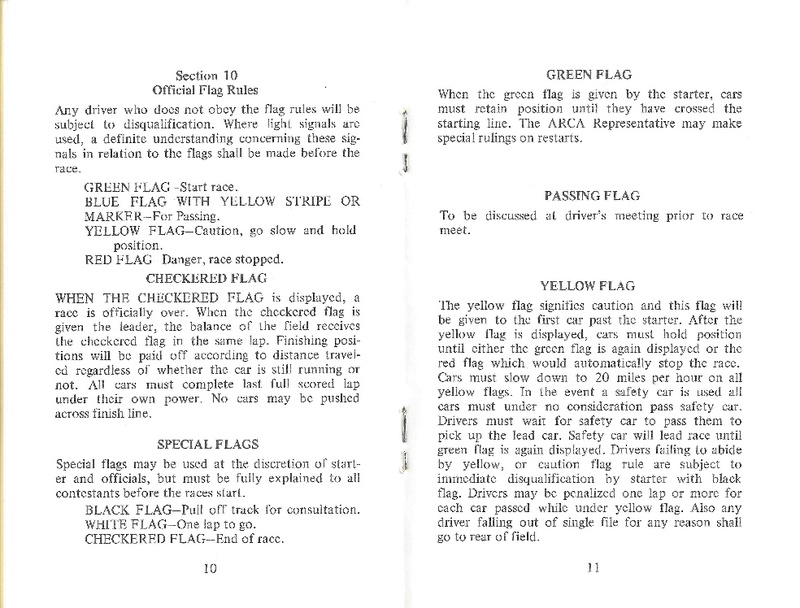 As time has worn on, the need for such regulation has become paramount, as auto racing has grown in popularity over the last 30 years. Many fans would love to race with their favorite drivers, but the fact is that due to their lack of experience and skill, this could cause a lot of problems. 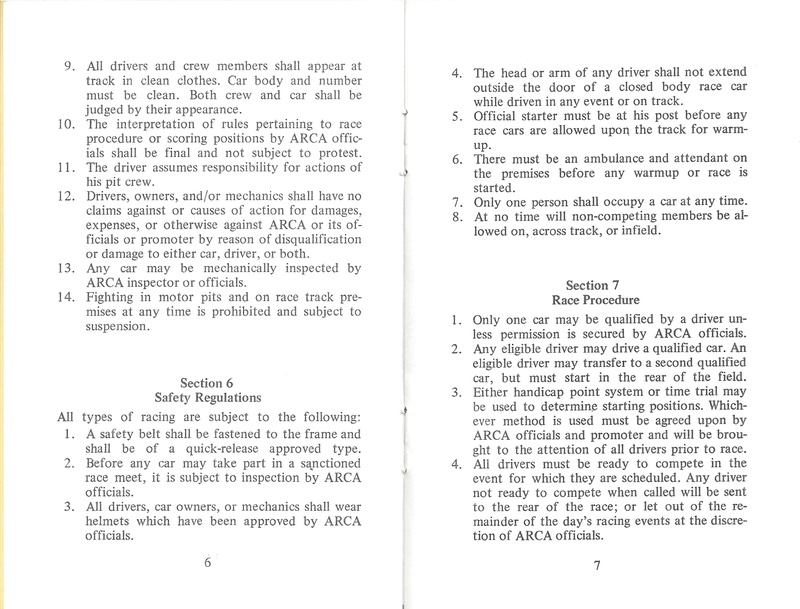 Race car drivers have skills capabilities that the average joe could only dream of having, and the competitor license makes sure that those who can do, and those who can’t watch. 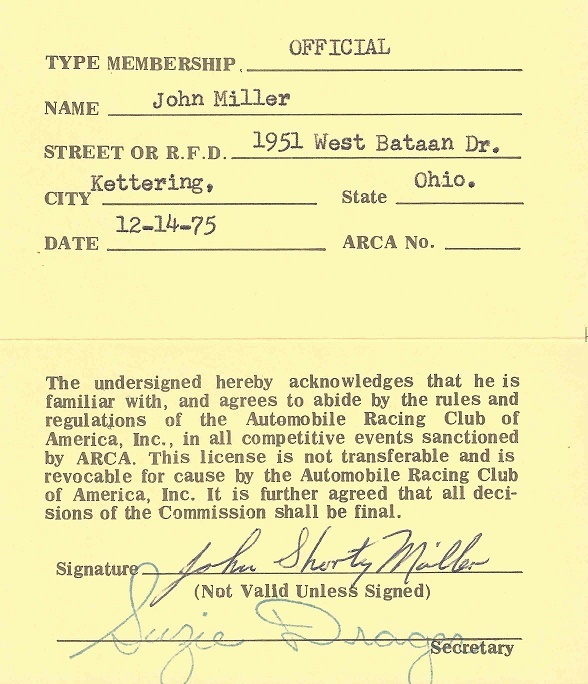 John “Shorty” Miller was a NASCAR and ARCA competitor in the 1960’s and 1970’s. 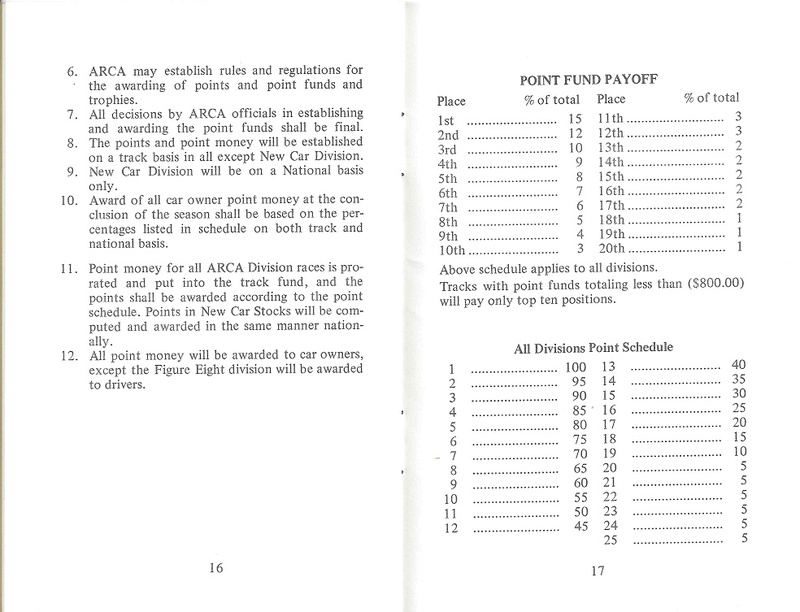 He was one of the founders of the Dayton Auto Racing Fan Club, or DARF, and is in the DARF Hall of Fame. 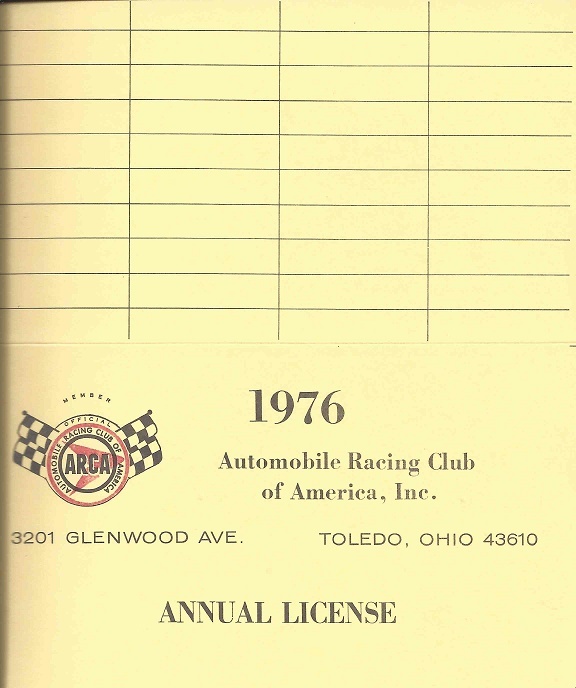 In 1976, he was involved with ARCA, and was issued this license. 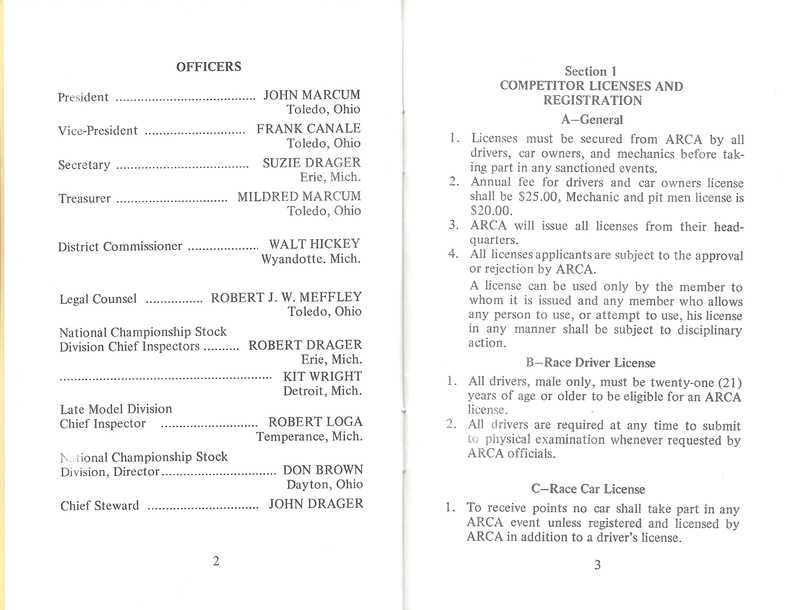 This ARCA license is slightly bigger than a regular driver’s license, is two sides, and folds in half. 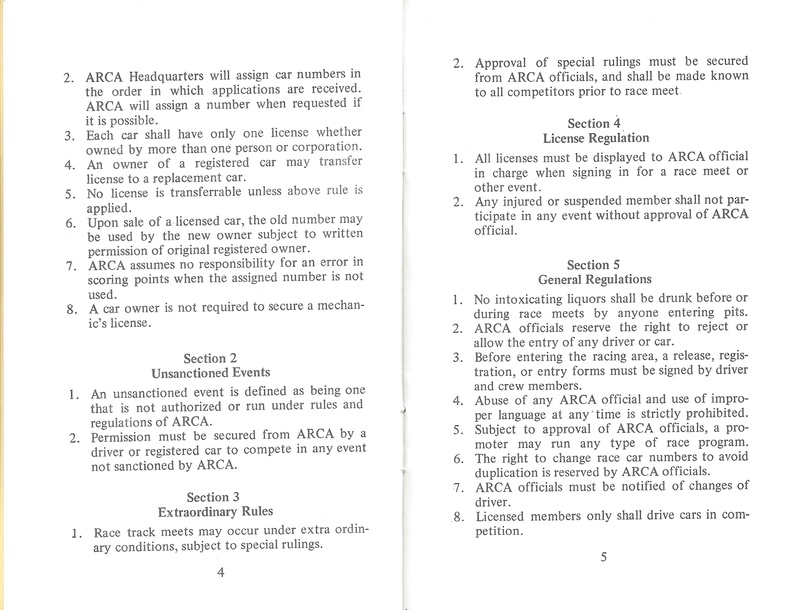 Issued on December 14, 1974, the license states that “The undersigned hereby acknowledges that he is familiar with, and agrees to abide by the rules and regulations of the Automobile Racing Club of America Inc. in all competitive events sponsored by ARCA. 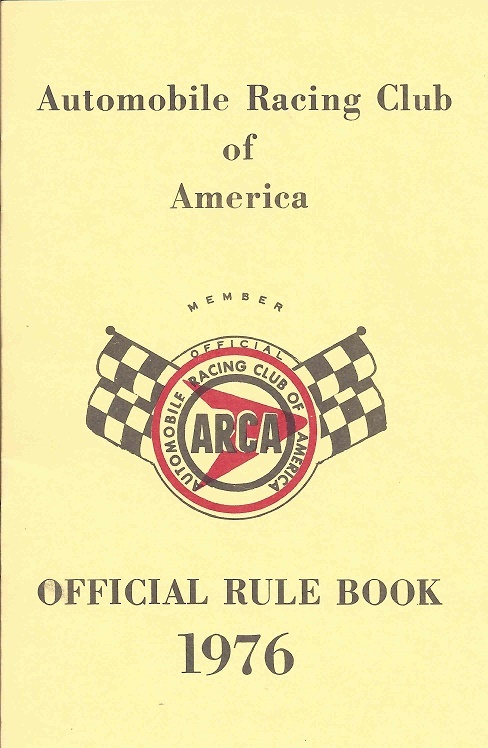 This license is non transferable and is revocable for cause by the Automobile Racing Club of America Inc. 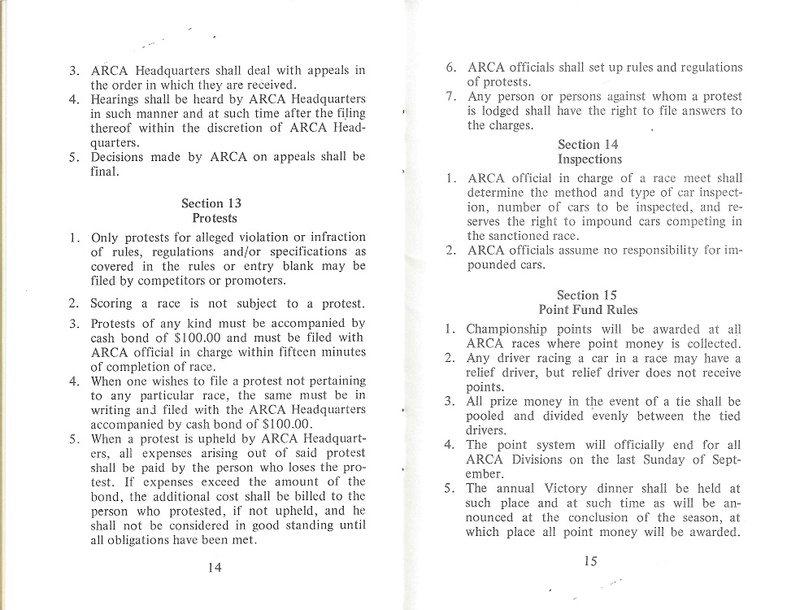 It is further agreed that all decisions of the Commission will be final.” It is then signed by Miller, and an ARCA Secretary. 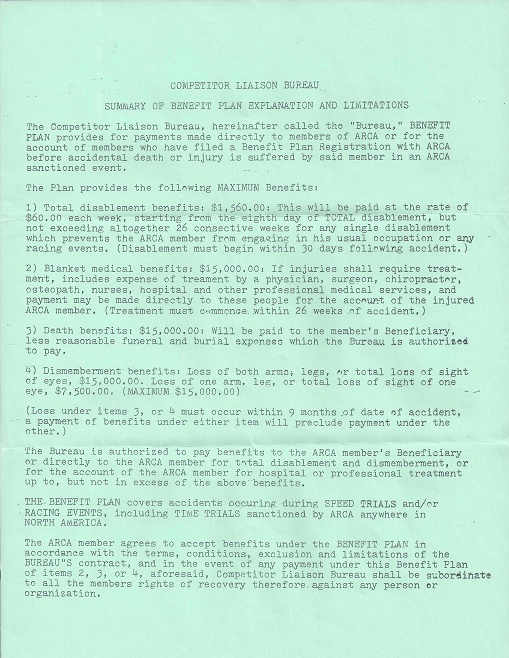 \The license also comes with two copies of the “Competitor Liaison Bureau Summary of Plan Explanation and Limitations” which discusses the insurance payouts for accidental death or injury if said driver is killed or injured in an ARCA event. 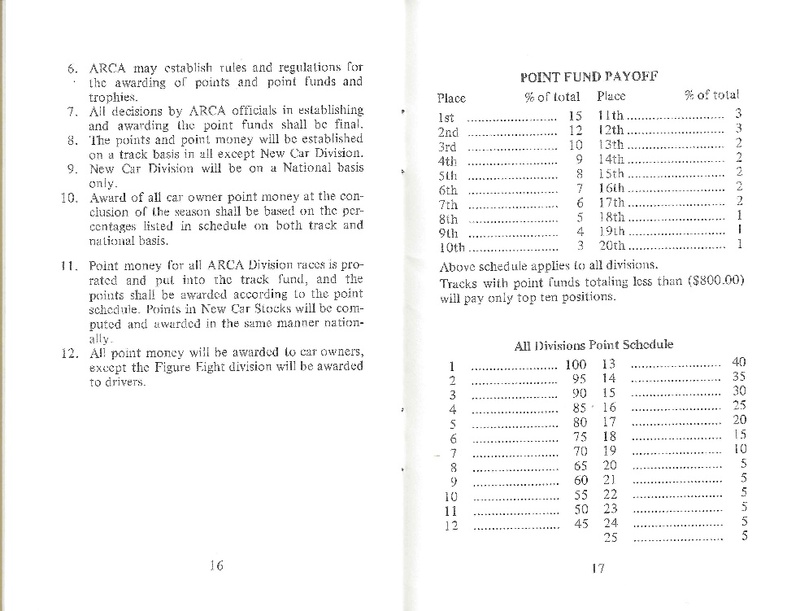 It also comes with a copy of the 1976 ARCA Rule Book, which contains 12 pages of rules, which covers a lot of ground, but leaves so much open, it’s not funny. 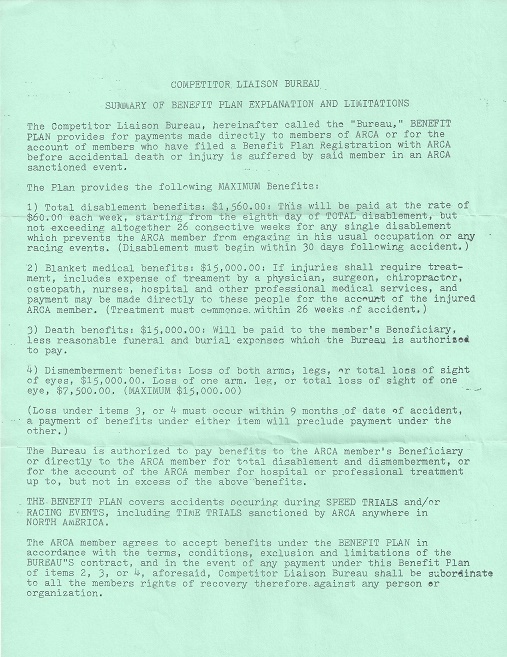 The competitor license is a necessary tool to make sure that the drivers are capable of racing. That’s why they are hard to get. 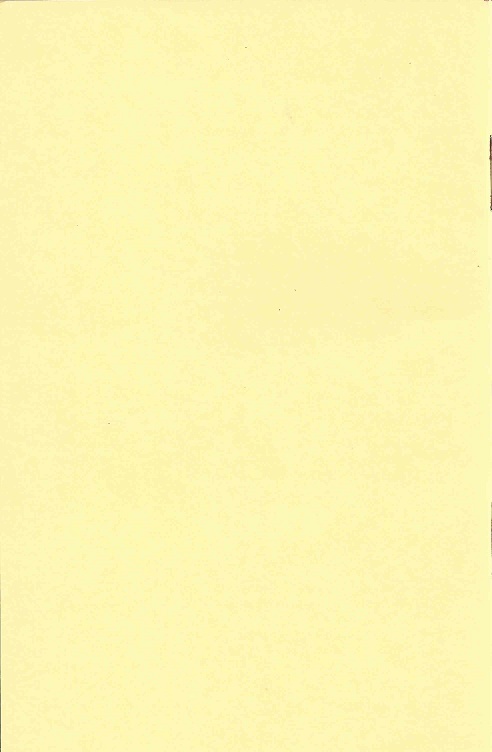 Next week, we will discuss something that is very easy to get.